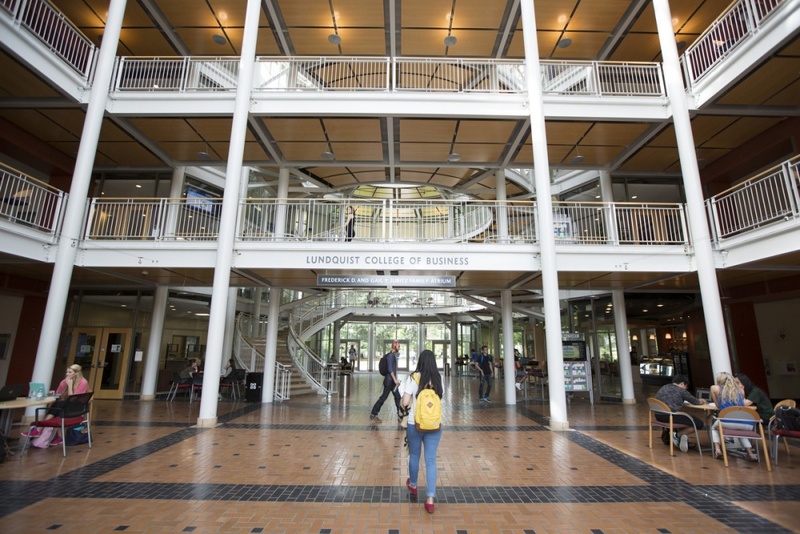 The University of Oregon’s Lundquist College of Business is working to better emphasize that accounting is not just an academic discipline but also a profession, by elevating the Department of Accounting to a School of Accounting. “Having a separate school exposes accounting students to the concept and meaning of being in a profession focused on high ethical standards, self-responsibility, continuous learning and development, collegiality, autonomy, and independence,” Coltrane added. Sarah Nutter, the Edward Maletis Dean of the Lundquist College of Business, said the change recognizes the strength of the program and will help it thrive and advance. Currently, the United States has 43 schools of accountancy or accounting. This change puts the UO alongside comparator institutions, including the University of Florida, University of Georgia and University of Southern California. The change will take effect July 1. Accounting is already a separate undergraduate major and degree at the Lundquist College of Business, with no other department having its own separate major. Likewise, the college undergoes separate accreditation for its accounting and business programs, placing the UO among only 1.9 percent of universities accredited in both disciplines by the Association to Advance Collegiate Schools of Business. The name change was precipitated by accounting faculty members and was unanimously supported by the Lundquist College of Business Academic Council in fall 2016. Faculty members at a collegewide faculty and staff meeting in November 2016 also unanimously approved the designation.